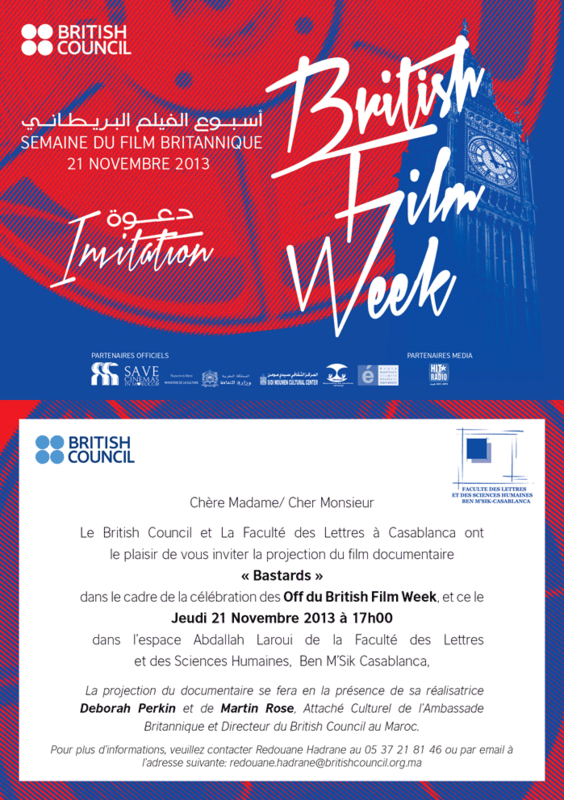 Sorry about the corny headline, but it does seem appropriate as tomorrow I fly to Casablanca, where the British Council in Morocco will be hosting a private screening of “Bastards”. Charities, human rights organisations, think tanks, academics and lawyers have been invited, to discuss the issues raised by the film. It’s a personal story, of Rabha El Haimer’s fight through the courts to get her illegitimate daughter recognised by the father, a real life court room drama, and it highlights so many problems in today’s Morocco – illiteracy, domestic violence, access to education, rural poverty, child marriage (now outlawed for under 18s but still possible for 15 year olds with the dispensation of local judges) and teenage pregnancy. It also shows that the Moroccan justice system is open to single mothers with a serious claim, something virtually unheard of in many countries around the world. Rabha has the vital backing of two charities to help her take her case through the courts – l’Association Solidarite Feminine in Casablanca and l’Association des Femmes du Sud in Agadir. Without these feisty social workers and lawyer, this illiterate young woman wouldn’t stand a chance.